OK, I am a bit late announcing 2013:) Nevertheless I have had a great start of the new year and I hope it continues. 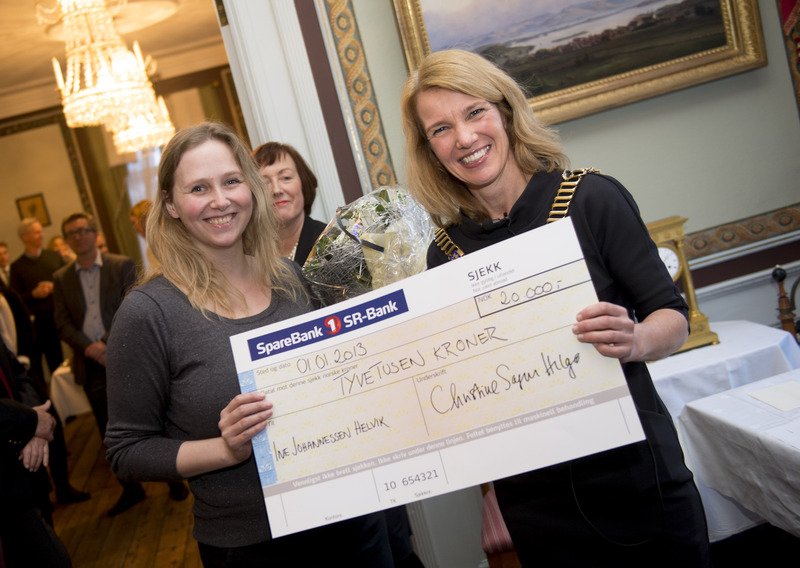 It began january 1. with a visit at Ledaal and the mayor of Stavanger Christine Sagen Helgø. I received the city-pin, the usual big towel with Norwegian Champion printed on it AND 20 000 NOK, app 3600 dollar, for my silver in the team competition (with Line Kjørsvik) in the EC 2012. The day after I got my spot to the Amway Cup, where at least half the money will go, and then I got news of at least 5, probably 6, Eurotours for women in 2013! So far this has been a good year!! In three weeks time it I will travel to the first Norwegian Championships in 2013, 14-1 and 10-ball in Førde. Then it is Taiwan and Portugal before Easter and off course all the local tournaments. This will be a busy but hopefully good poolyear!